If you missed the shop opening party on Saturday...(and 1300 of you did) here are a few more photos to check out. South Magazine photographer John Alexander came by and took these..
Getting back to what we do best..We have added some new trips to our calender for this season. Local Paddlers Choice(LPC)Trips are aimed at paddlers looking for more advanced and challenging adventures to test their skills..
We got some great feedback and photos from Tom May, a very happy slider down in Florida. Tom, an East Coast Surf Team member, has been riding the Bullitt S for about a year and is very happy with her performance. 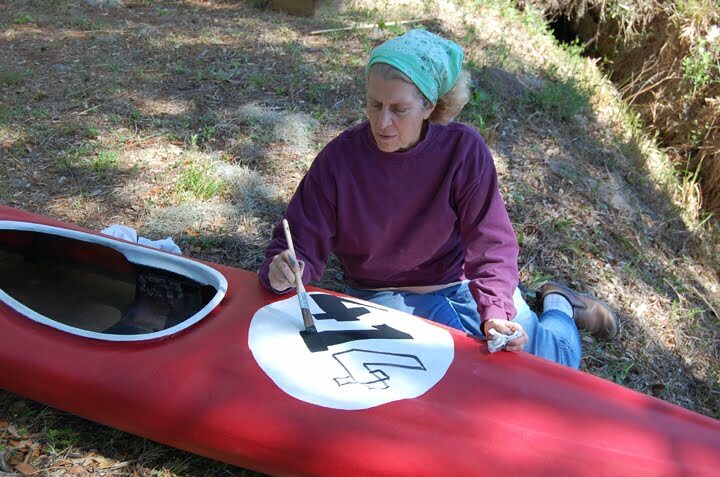 Constantly experimenting, and currently sliding on a larger single center fin, Tom is a great resource of knowledge for the B-S.
"Thanks for your Feedback, Tom. We'll pass it along to other users." We always have the Bullitt S and X in stock at the shop and use both models for our surf classes. 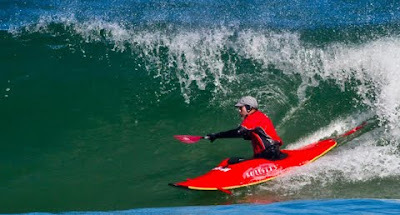 Stop by our new location and view the complete Mega surf kayak line-up. Have a great day in the waves on whatever you paddle and send us a picture or two. We love to see the waves of joy of others . Last night's Grand Opening Party was a true celebration of what can be created when a community of people come together with friendship and a passion for Paddle Sports. The buzz and excitement was infectious. 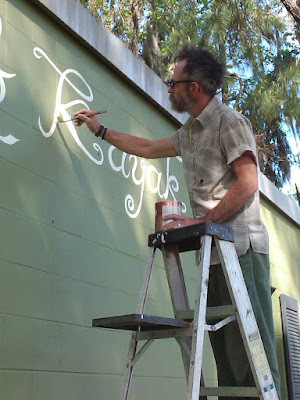 Zach and his Accomplices rocked the house, Matthew Cooper's works of metal art took us to a 4th dimension, and Saltwood Paddles greased the wheels with flowing libations. 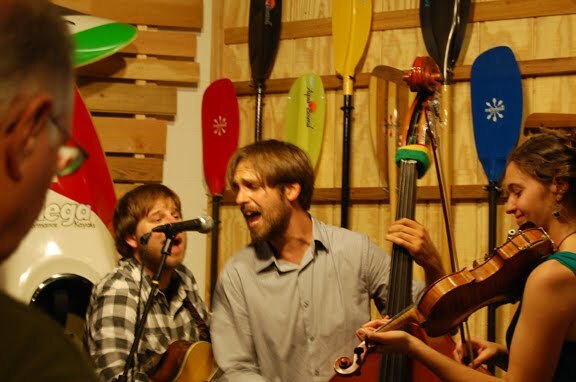 Music, art, and an awesome group of paddlers... a perfect celebration of the Georgia Coastal Community! 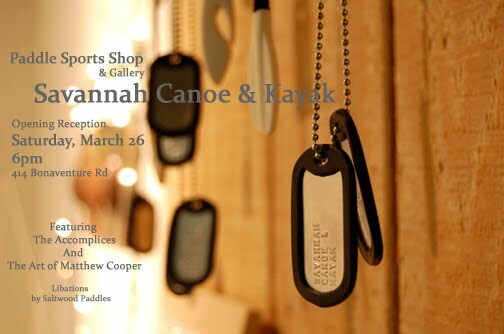 Come on in and join us..
Come join us for the official opening of Savannah Canoe and Kayak's shop location... your new paddlesports hub. 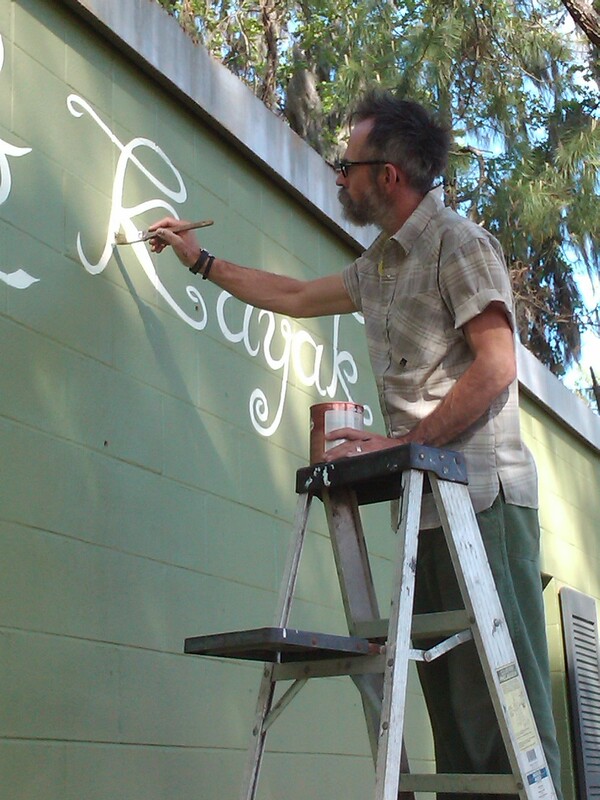 Live music by The Accomplices and the art of Matthew Cooper in the SC&K gallery. 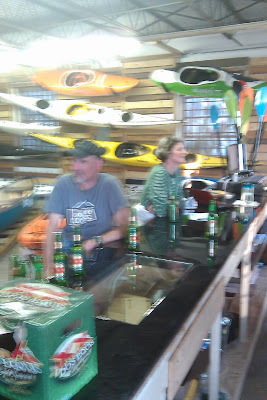 Libations provided by Saltwood Paddles. Well Done, Now Sod Off . And with that, a sharp kick to the derriere was administered. Nigel made a short speech to the other person in attendance, which was drowned out by an F18 on night reconnaissance." "It feels great to wear cotton again. I have turned a corner and am well on my way to the rest of my life." No photos were taken and we expect Mr Law to be back in polypropylene quite soon. 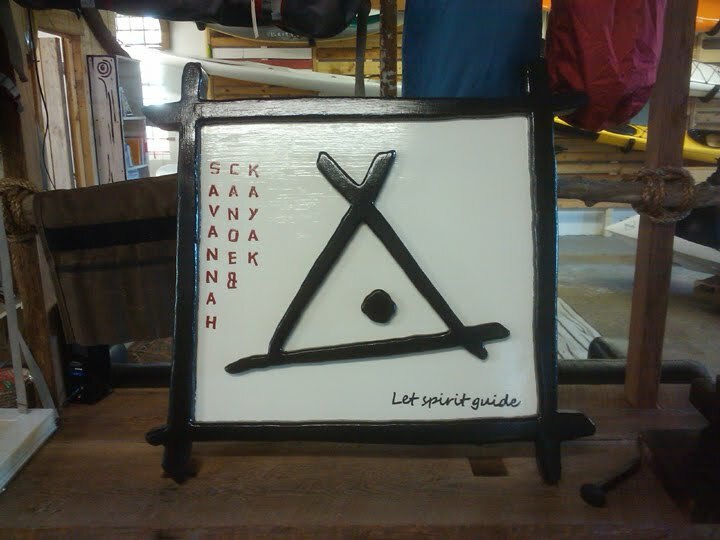 The final touches come together as we prepare for the opening of Savannah's first dedicated paddlesports shop. The official opening is Saturday the 26th March, with a small 'reception' kicking off at 6pm. The SC&K shop gallery will be inaugurated with the sculptures of talented industrial designer Matthew Cooper. Live music from Zac and his hombres. A beer or two supplied by Saltwood and Saltwood demo kayak paddles will be making their first public appearance. So drop in for a chat and a pint and we'll help figure out how to make best use of your recreational future. 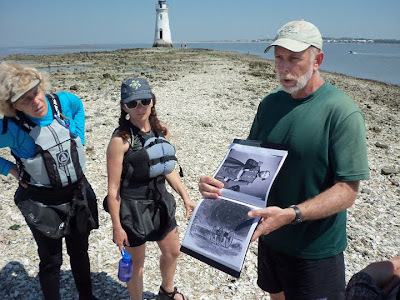 Saturdays trip to the old Cockspur Lighthouse definitely proved to be a magical history tour. We all know the story of the siege and reduction of Fort Pulaski, but it's the details that make history come alive. Steve Braden has done extensive research on this area during that period of Tybee Island history. With maps, diagrams and accounts from that time, Steve brought to life an area that has changed little since then. And no better way to get closer to history than in your own kayak, on the ebb and flow of the tide. We will be running this trip several more times this year. 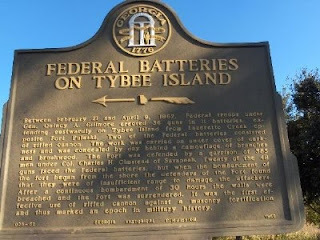 Look on the calendar for the next Old Tybee Lighthouse History Tour. Coming soon to your paddling community. Meet interesting people - Plan trips - Buy boats and gear - Square Dancing. 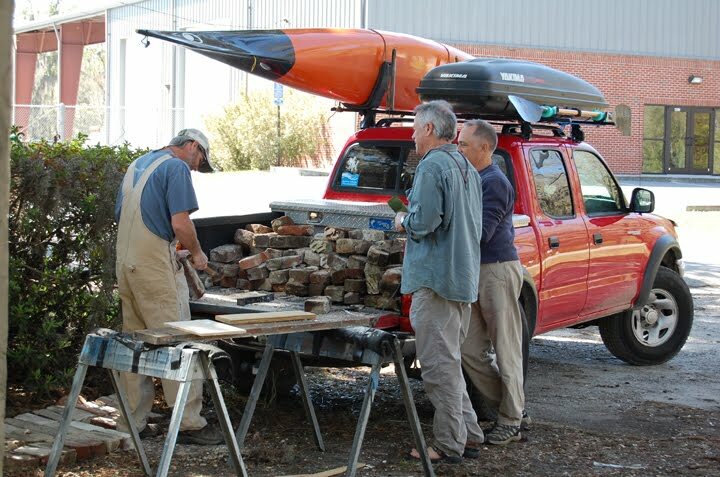 A very big 'Thank You' to members of the paddling community for giving up their Saturday last to come paint Savannah's newest canoe and kayak shop. It's very comforting to have such great support for this new phase at SC&K. We have been hard at it now since late January and the transformation of the building took a great leap forward. It has been a very enjoyable time for us. Many people, known and unknown, have stopped by and we are very excited about the future of paddlesports in this area. 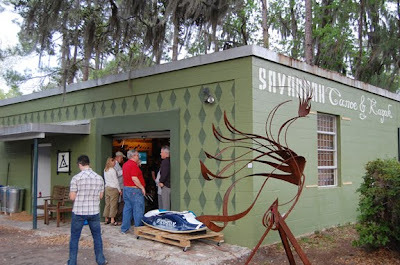 Finally, Savannah has a paddlesport enthusiast's shop ! 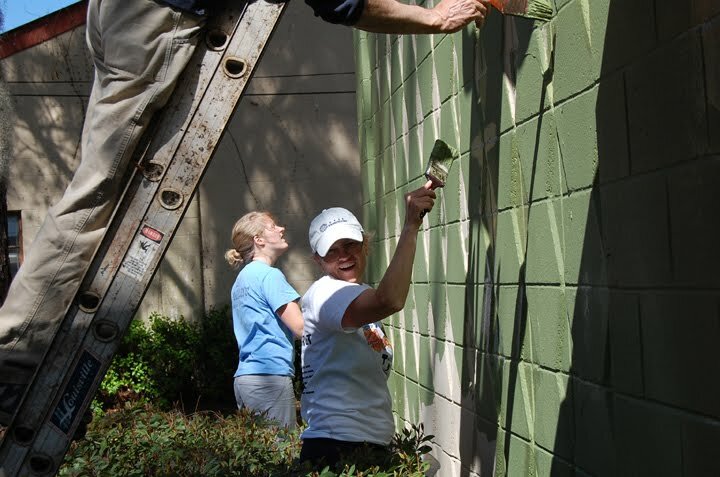 So, did we paint the building Camouflage ? Hell, no. Just a good old army green that blends into the scenery and stands out in the neighbourhood. We will be building a couple of boat racks this weekend.... One of steel, one of wood. Boat displays are up, and so is much of the stock. The blu ray stereo and LED Tv are wired and live...movie matinees every Friday at 4pm. (byob) and Square Dancing - Sunday afternoons. Captain Zac and his All Stars will be playing at the opening party next Saturday at 6pm. Should be a great show. Please stop in for a pint and a chat about how we can best help facilitate your continued paddling experience. Steve Braden is leading a new history series for us this year...kicking off with the Civil War History of Tybee Island/Fort Pulaski. Steve has extensively researched and mapped out the location of the Tybee Island earth batteries. We are all aware of the story and location of the siege of Fort Pulaski, but even the official historical marker is in the wrong place, pointing the wrong way. Steve has a plan for preserving these sites, before they are completely lost to development, and even combining them into an education based walking trail. 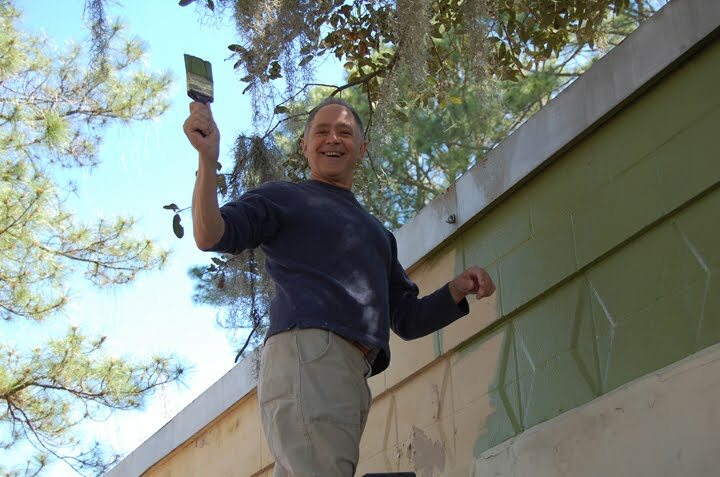 He recently presented his ideas to the Tybee City Council who were most impressed. The City Council asked for copies of Steve's research for the Tybee archives. 20% off with your own boat. Back Yard Bird count Update. Ogeechee Audubon made a special effort to cover the greater Savannah area really thoroughly and it paid off big – Savannah ranked THIRD (!) in the entire nation in the number of different species found during the four-day count with 155 species tallied. You can view all the “Top Ten” lists from the count at http://gbbc.birdsource.org/gbbcApps/top10. Keep your binoculars handy – spring migration is upon us. 6pm at the Aquatics Center on Sally Mood Dr.
We have two lanes rented for 2 hours of roll practice. Saltwood Paddles website is now up and running. Innovative paddlers Richard Davis and Mike Robinson's commitment and dedication to the Saltwood product is testament alone to a great addition to paddlesports. After a lifetime of paddling, boat building, modifying and fixing equipment, the chaps are now ready to launch their hollow shafted, balsa core, carbon blade paddles. Over two years alone has gone into product testing the Saltwood paddle. We are excited to have the full line of Saltwood product at the shop. Well done chaps. We wish you all the best. This coming Saturday...and the following Saturday, painting and construction projects will be in progress. Any assistance will be much appreciated, or just swing by and check things out. We have also rescheduled our opening day to March 26th. We decided that building a kayak shop from scratch is fun, so why be in a rush. It is also because of the mayhem and madness that surrounds St Patricks Day in Savannah. 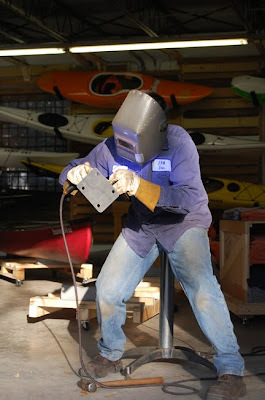 More details and pictures of Savannah's new paddlesports center coming soon.